We provide safe and secure parking for local and over-the-road truck drivers. Do you need parking for one or more hours for your semi-truck, trailer, bobtail truck, flatbed or vehicle? Send us an email or just show up to the parking gate. We will try our best to resolve your parking problem. Do you need parking for 4, 7, 10 or more trailers, flatbeds, semi-trucks, or reefers? Do you need parking for them for five or ten days, or even for over a month? Send us an email at least 3 days in advance, and we will try our best to help you out. Do you work in the USA and live in Mexico? Do you need to run across the border to buy food, medication, or visit a doctor, dentist, friends, or family? We have free shuttle service to and from the Otay Mesa border crossing. Are you on vacation or have an emergency and need to fly out of Tijuana or San Diego? 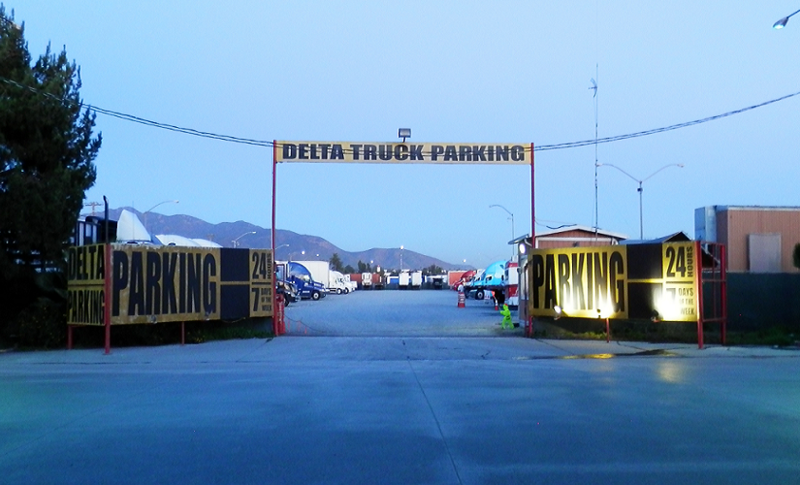 Do you need safe and secure truck parking near the Tijuana or San Diego airport? We provide free shuttle service to and from the Otay Mesa border crossing and CBX-Tijuana airport bridge. To get to San Diego Airport, you would need to contact an Uber, Lyft, or taxi driver. We have a reliable parking and shuttle service that has been perfected over our 10 years of experience. We try our best to make your life easier. Our mission is simple. We take care of your equipment, and you can focus on taking care of your customers, paperwork, health, family, and pets. We know that there are other parking options for you in Otay Mesa, but very few of them are business oriented. We know how to take care of one-truck owner-operator trucking companies. We also know how to deal with logistic companies that run several trucks. The needs and problems of a one-truck company are similar to those of a company with over 100 trucks. One has more money and more problems than the other, but both have to deal with similar problems, such as cargo insurance, logbooks, DOT, highway patrol, traffic, fuel cost, repairs, factoring, unpaid bills, taxes, IRS audits, and much more. We also understand that you need to deliver a load and look for a new one. But you also need to have time to let your body rest in a place where you know that your money-making and problem-solving equipment is sitting in a safe and secure parking facility. And that’s the Delta Truck Parking advantage.